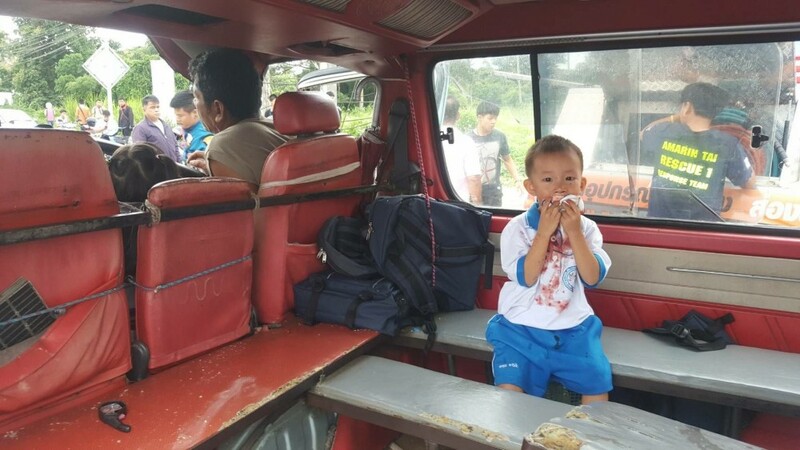 A passenger van carrying 25 children to a nursery in Chiang Rai’s Wiang Pa Pao district has crashed into the rear of a truck, injuring the van driver and 14 of the children. 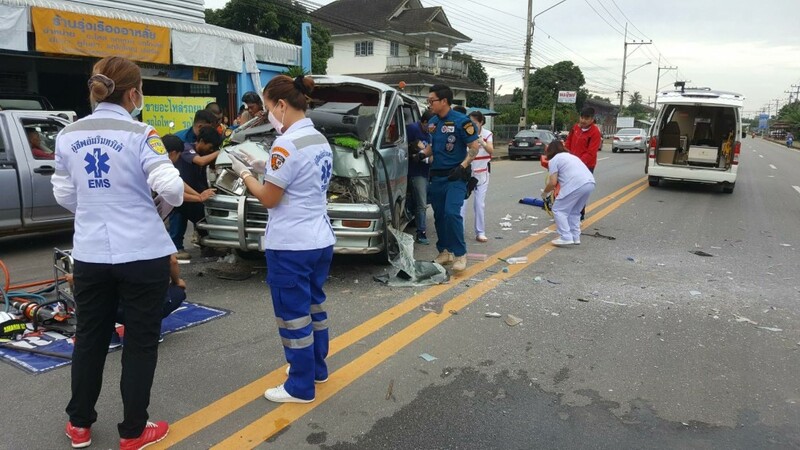 The accident on the Chiang Mai-Chiang Rai road in Moo 6 village in Tambon Wiang Ka Long happened at around 7:20am this morning. The van driver 59 year old Kamol Phothi suffered injuries to his face. 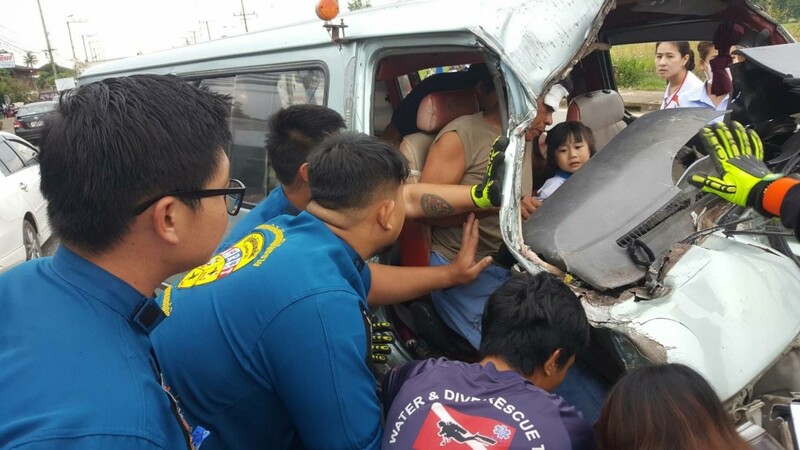 A girl in the front passenger seat had her legs stuck in the damaged console and rescuers had to use the jaws of life to free her from the wreckage. 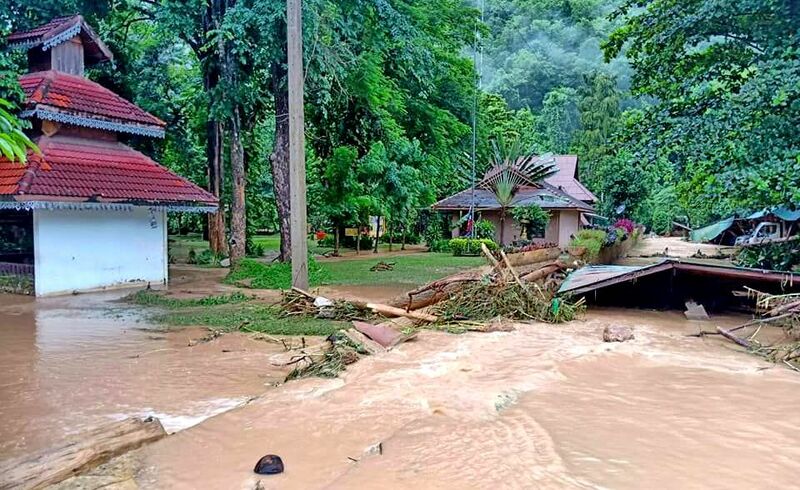 Five of the preschoolers were seriously injured – two suffering broken arms, one with a head injury and two others had bruises and cuts. 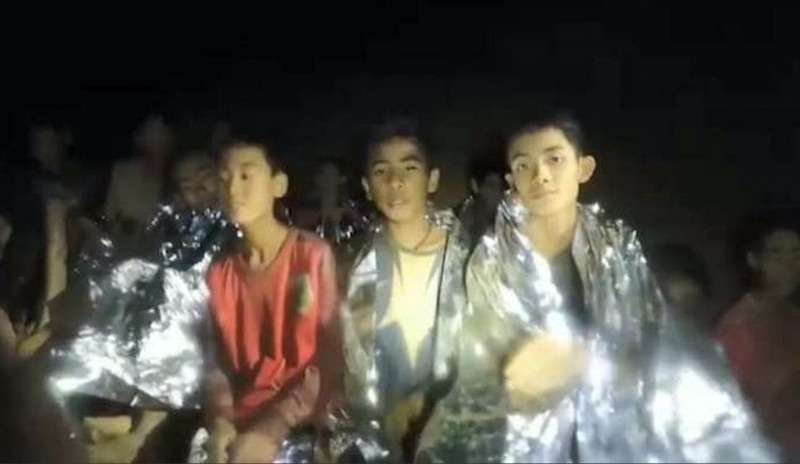 Everyone was taken to Wiang Pa Pao Hospital and 11 of the unharmed children were released soon after. 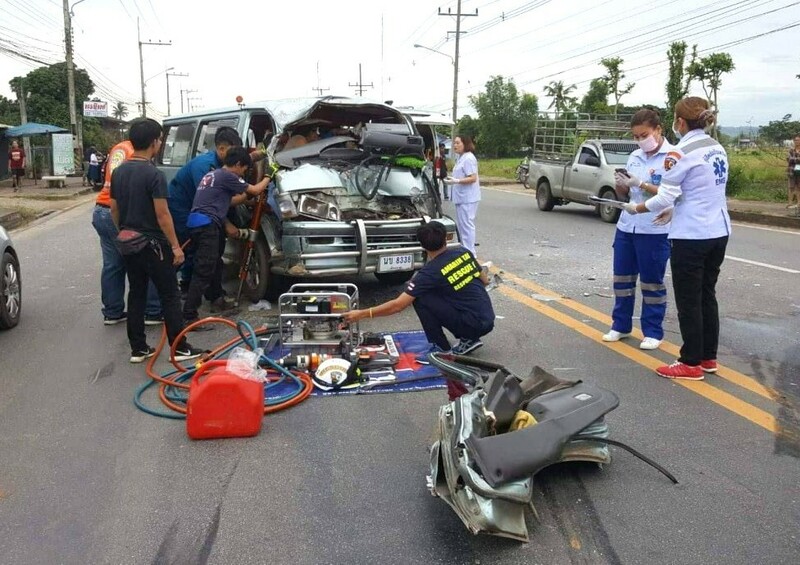 50 year old Seksan Wongsuwan, the driver of the six-wheeler truck, said he was about to change lanes to make a U-turn when the van crashed into the rear of his truck.